One of the most recognisable nameplates has returned. 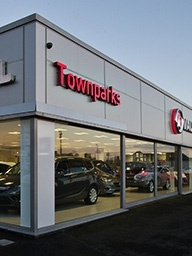 The beloved Vauxhall Astra – a British road mainstay for over twenty years, is now available at Townparks in Northern Ireland. Delivering trademark ride quality, style and efficiency, the newest version of the Astra might be the best one yet. More lightweight than it has ever been, the Astra’s distinctive lines and curves harken to its predecessors and add an alluring air of confidence. Coming with features such as LED daytime running lights and 16-inch alloy wheels as standard, the Astra makes a lasting impression through its finer details. The Astra packs plenty of space inside its compact body – up to four adults can enjoy plenty of room, with a smaller seat in the middle of the back row for children. As the driver, you can choose some of the advanced luxury extras, including multi-adjustable ergonomic seats and ventilated leather upholstery. A wide range of petrol and diesel units are available for the new Vauxhall Astra, with outputs ranging from 100PS to 200PS. The most fuel-efficient choice, the 1.6-litre CDTi ecoFLEX diesel, allows for a fuel efficiency figure of up to 85.6mpg and carbon emissions of only 88g/km. For a rewarding balance between efficiency and power, the 1.0-litre 105PS and 1.4-litre 150PS petrol units allow for impressive torque and city performance. The new Vauxhall Astra lacks nothing, even in its basic trim. Standard specification includes Air conditioning, the R4.0 Intellilink touchscreen infotainment system, a multi-function trip computer and Front fog lights. Recognised by the Euro NCAP with a five-star safety rating, the Vauxhall Astra provides systems such as ABS, a Tyre pressure monitoring system and Electronic Stability Programme as standard. Get in touch with Townparks Vauxhall in Northern Ireland today to learn more about the stylish new Vauxhall Astra. Contact us by calling the provided phone number or filling in the online enquiry form to book your test drive. © Copyright 2009 - 2019 Townparks Car Sales. All rights reserved. All photographs are for illustrative purposes only and may not depict the actual car. Specifications and prices are subject to change, please contact us to confirm.  Any mileages quoted are approximate and should be confirmed before a purchase is agreed. Townparks Car Sales Ltd is an appointed representative of ITC Compliance Limited which is authorised and regulated by the Financial Conduct Authority (their registration number is 313486) and which is permitted to advise on and arrange general insurance contracts. Welcome to Townparks Car Sales. To optimise your experience, cookie settings on the website are set to allow all cookies. By continuing your journey throughout the website, you consent to this. You can change these settings here.